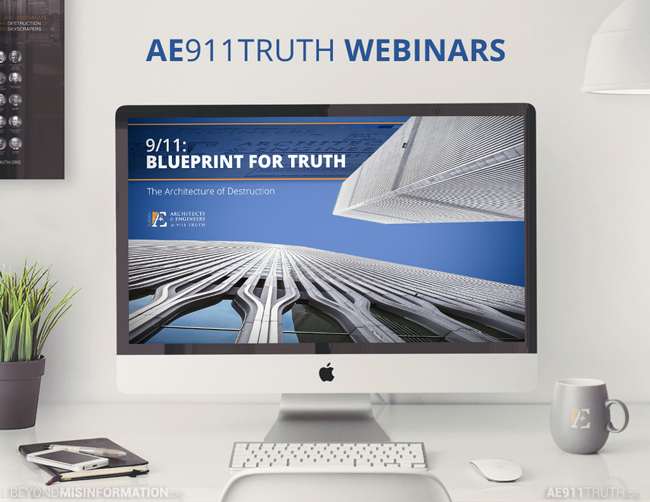 Join us today at 1 PM Pacific / 4 PM Eastern for Week 4 of our webinar series: The Twin Towers and Extreme Heat. In this presentation, Richard Gage covers the overwhelming evidence of high-temperature chemical reactions, which cannot be explained by the official story. Then, on Sunday, May 1, at 4 PM Pacific / 7 PM Eastern, we are very pleased to welcome civil engineer Jonathan Cole, P.E., who will be joining us to present The Twin Towers: The Force Behind the Motion. Need help getting there on Sunday? Sign up to receive an email reminder one hour before Mr. Cole’s presentation simply by replying to this email.